SINGAPORE - The current Choa Chu Kang bus interchange will be relocated from Dec 16 due to construction on the Jurong Region Line and related road works, said the Land Transport Authority (LTA) in a statement on Monday (Nov 19). 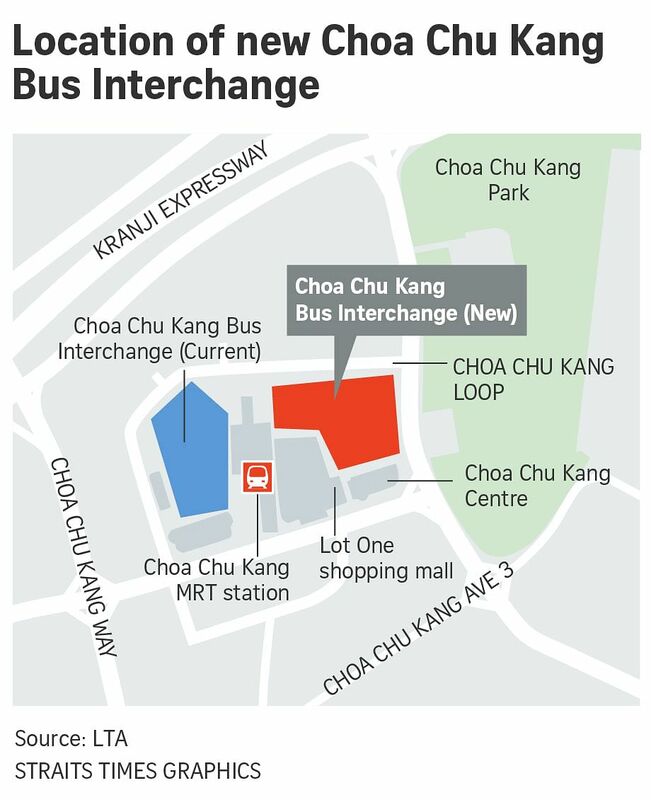 The new interchange will be at the junction of Choa Chu Kang Loop and Choa Chu Kang Drive and will feature the first one-stop service centre in a bus interchange. The centre replaces the conventional ticket office and features an e-lobby and seated waiting area. It also has manned counters that provide more customised assistance. The e-lobby is complementary to these counters and provides the majority of the centre's services. The 13 bus services currently operating at the existing interchange will operate from the new interchange. The current interchange will cease operations on Dec 16. Services 925 and 927 will no longer ply Choa Chu Kang Avenue 4 due to adjustments made to enter and exit the new interchange. There will be close to 100 bicycle parking spaces at the interchange to facilitate active mobility and first-and-last-mile connectivity, said the LTA. Information on the bus routes will be available at affected bus stops, as well as at the bus terminal and on the buses. More information can also be found on the LTA's online and social media platforms.